Today I’m so excited to be a part of Cupcake Diaries 30 Days of Halloween! She has all sorts of fun ideas being posted. Be sure to check them all out! 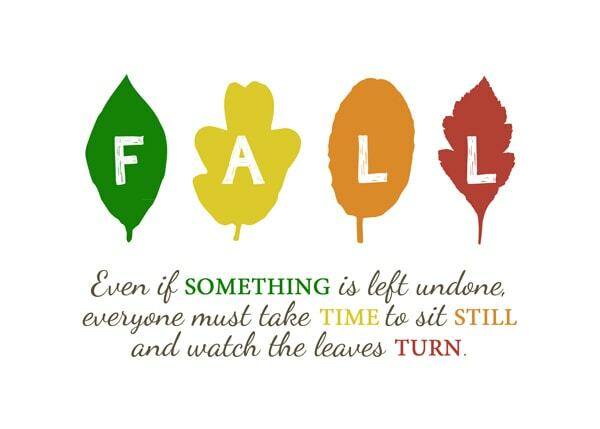 It’s getting to be that time of year again… time to start thinking about the Holidays coming up. Halloween is right around the corner! Do you need some simple Halloween games for kids? I know I will be helping in my son’s Halloween party at school and I love simple games to play with them. 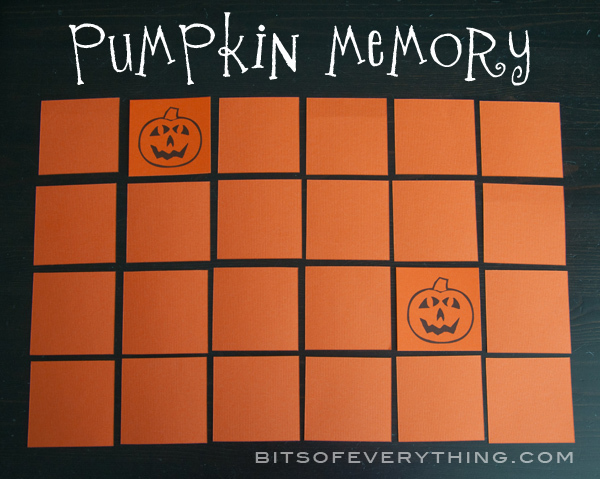 This Halloween memory game is easy…. Print, Cut, Play. Let’s do it! I’ve made two different files for you to choose from. 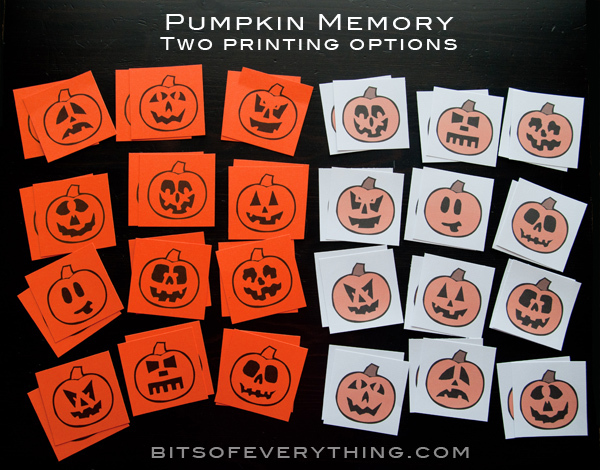 Plain black and white pumpkins are perfect for printing on orange card stock. 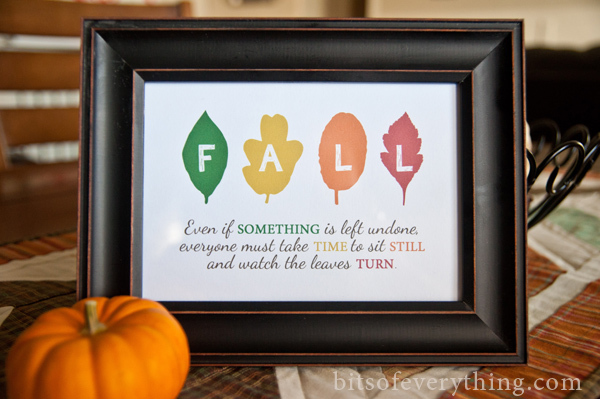 The cute colored pumpkins would be perfect for printing on white card stock. 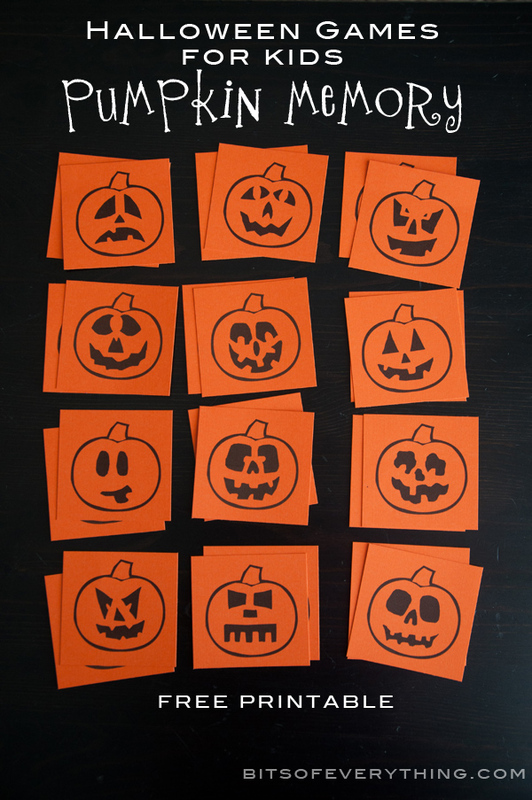 Be sure to print the file two times so that you have two of every pumpkin, creating 12 matches. Trim off your margins first, then cut the pumpkins apart. 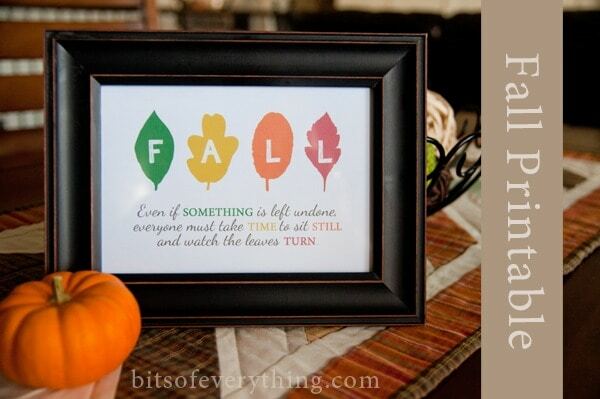 If you print on thin paper, you might need to attach the pumpkins to a thicker paper so that you can’t see the pumpkins through the paper. To play – Mix all your cards up. Place all your cards face down. Take turns trying to find a match. Check out all these great Halloween ideas! To make this gift, we have 5 easy steps. Print. Cut. Fold. Tape. Tie. Print this Back to School Extra Printable. Cut along the dotted line from the top of the page to the bottom. Then, score the other dotted lines. Fold your card on the dotted lines. Tape the Extra gum into place. 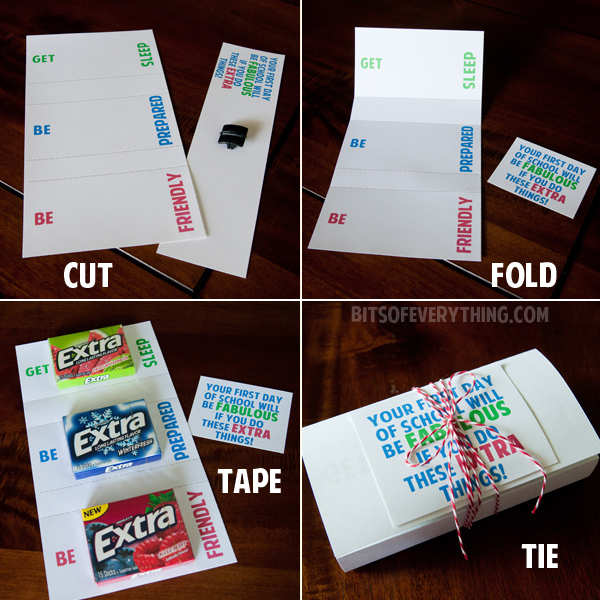 Fold your card up and tie it up with some cute twine or ribbon. This small gift will be the perfect thing to let your kids know you love them! 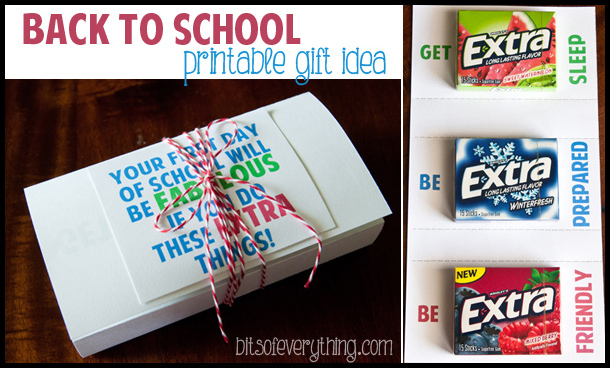 I have a few more simple back to school ideas that I hope to be sharing with you soon! 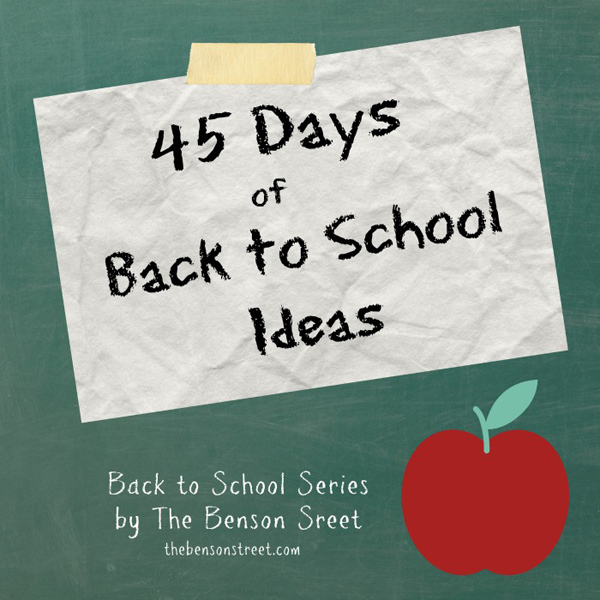 Be sure to go see all the great back to school ideas at The Benson Street!